In the beginning, when I was a new parent of a child who looked different and one who was still processing it all, taking Aiden out and about was nerve-wracking. I was obsessed with how long people let their looks linger. I always assumed they were passing judgement and found myself constantly on the defense. Even though I loved my child fiercely - despite his differences - I was always shocked (and quite honestly a little skeptical) when a perfect stranger would comment on how cute he was. Were they being genuine? Or trying to cover up the fact that I caught them staring? Over the past 5 years, I've seen and heard it all. What has surprised me the most is that adults seem to be the worst offenders. Hadn't anyone taught them manners? I'd think to myself when an adult would nudge their friend to have them look at my sweet boy. Kids, however, have an innocent and healthy curiosity that perhaps makes their reactions a bit more forgivable. I was never quite sure how I would react during these encounters. I'm still not. I desperately want to have the right thing to say - something poignant and composed that can turn a negative situation into something positive for all parties involved. Unfortunately, that is rarely the case when emotions run high. I either find myself fumbling over my words or coming across like a crazy, overprotective mom. As the parent of a child with Apert syndrome, I experience these encounters daily. But as a parent in general, I too have the responsibility to teach my own kids how to act appropriately - including how to respect others who have physical or behavioral differences. I get that sometimes kids make off-the-cuff remarks without thinking. I've experienced that myself on more than one occasion (once, while shopping at the grocery store, Ethan was overly vocal in his curiosity about a "little person"). It doesn't mean that I've failed as a parent and I don't pass that judgement on to other parents when their kids react to Aiden. However - it is my opinion that how the situation is handled (or NOT handled) at that very moment truly defines just how well you are doing your job. Our family was invited to enjoy a day of baseball at the Dell Diamond this past weekend and we happily accepted. It was a beautiful day where we were able to enjoy the perks of experiencing a poolside party located on the upper deck of the stands. With all they have to offer there for kids, we actually caught very little of the game, instead alternated between the playscape and standing in line for the trampoline bungee (Aiden's choice) and the rock climbing wall (Ethan's choice). While patiently waiting in line with Aiden, a boy in front of us, about 10 if I had to guess, began glancing back at Aiden. No biggie. It happens all the time. I would try to catch his eyes and offer a smile, but each time he looked at me he quickly turned around. When it was our turn, they took 3 kids into the waiting area to sit on benches while the kids before them got unhooked from their harnesses. I went in with Aiden, who was between me and the boy on the bench. Immediately, any time Aiden turned toward the boy, he began to scoot himself farther away with an obnoxious scream. After the second or third time my blood was boiling. "Is there a problem?" I shouted with an obvious amount of emotion. "I'm sorry," he said. "That boy is just freaking me out." I looked around for his parent. Nowhere to be found. "Well he is a perfectly sweet little boy and if you have a problem, perhaps you should go sit over there." I pointed to the empty bench on the other side of us. So off he went. When I looked around yet again I noticed that a handful of adults had witnessed this exchange and suddenly, I felt like my actions were being judged. Even though I was protecting my child, I couldn't help questioning myself and whether I had handled it appropriately. As Aiden bounced himself into the sky, laughing with pure joy the whole time, I heard a little girl behind me say "Look at that strange looking kid". Again, no parents nearby when I turned to her and said "He is not strange and that was very rude." She hadn't realized I was his mom standing there and was mortified when I addressed her. "I'm sorry for saying that," she said sheepishly and walked on. A little while later, the boys were playing on the crowded playscape. It started to get really warm and Aiden came to me a few times complaining about this or that (nothing new). "I'm hot." or "Ethan's not playing with me." And so on. At one point he said "a boy stepped on my toes" and I chalked it up to it being an accident with so many kids running around. When he came to me a second time saying the same thing, I made a point to keep a closer eye on him as he ran off. Sure enough, as Aiden crossed the bridge from one side of the play structure to the other, a boy twice his size walked up to him and kicked him in the shin. I COULD NOT BELIEVE what I had just seen. I scooped up Hudson who had been crawling around at my feet and without so much as a second to compose myself marched up to the boy, who was already walking away. "Hey you!" I shouted. He turned slowly, knowing full well I had just seen what he'd done. "DO NOT kick my little boy, do you hear me?" Dead stare. "DO YOU UNDERSTAND?" The boy hid behind a railing and shook his head yes before running off. Probably to go tell his mommy about the mean lady who yelled at him no doubt. I went back to where I was sitting and mumbled to the woman next to me "Whew - sometimes mama bear just comes out." Again, I felt a sudden pang of guilt to have shouted at the boy and wondered if the moms would think I was too aggressive. She and another mother next to her said they'd both seen what the boy did and were horrified. Then they said what I thought during all 3 of those situations "Where are the parents?" And that's just the thing. I wish the parents would have been there to handle their own child's behavior so I didn't have to step in but also so that they could learn, if they weren't already aware, how their child reacts to someone who is different than they are. Perhaps they could have used it as an opportunity to educate their child so they would not behave that way in the future. Or I could have talked to the parent about Aiden and shared a little of our story. So while I would personally never let my child run around the crowded kids area without supervision, I was more disappointed that three opportunities to address their children's careless actions in public were lost...at the expense of my child's feelings. 1. If your kid says something insensitive, acknowledge it. Not only if it was overheard, but especially if it was. I don't care how embarrassed you are or how much you want to pretend it didn't happen - ignoring it tells your kid two things: it's okay to do/say what they did and that they can get away with it, even in front of a parent. And please, even do this if you plan to address it differently in private. 2. Apologize on your child's behalf. Say something, anything, to let me know that you understand that your child's actions were hurtful. If you don't get it? Then I know your kid is never gonna get it. And that's just a shame. 3. Ask your child to apologize as well. Putting them on the spot holds them accountable for their behavior. It might even embarrass them enough to discourage them from doing it again. 4. Focus on the positive. Say something about my child that discredits the hurtful comment your kid just said. Did they say something about Aiden's face? Point out his sweet smile. Did they blurt out how different his hands are? Comment on how well he's able to use them to pick up that small piece of paper on the ground. Disarming the negative with a positive just might drive home the point that even with his differences, my child is pretty amazing. 5. Talk to your kids about respecting people of all shapes, sizes, colors and abilities. Have a conversation with them early and often. I began talking to Ethan about this subject when he was about 2 and could understand. Granted he had a brother as an example, but at that age Aiden was no more different to him than anyone else. Bottom line is, we all want our kids to be accepted, but while that may not always happen naturally, respect should. I may not always be around to handle these situations on behalf of my child, just as the offending kid's parents were not there to witness it. But if we do our best to guide our children, provide a good example for them, and address behavior appropriately when something is said/done, then maybe kids like Aiden will encounter one less person who doesn't know any better. From one mom to another - THANK YOU and please share! 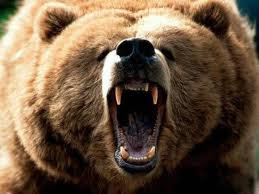 If I see ANY type of bullying behavior toward my kids my Mamma Bear is out INSTANTLY. You probably handle it far better and with more composure than I would have. I would have likely followed it with a "where is your mom/dad" and had a little chat with them as well. Because you know, I'd have been really angry. My mamma bear is downright scary. By the same token, my kids know they are deep trouble if they pick on someone, especially someone smaller than they are. I think you were right on in your reaction. Kelly - lets get something on the calendar! I'd love to get together :) Shoot me an email! WTG Mama Bear! I think you handled each situation very appropriately. I don't know what I would have said especially in the case where the boy was being 'freaked out.' I think hearing that would have just made my heart ache! It's a great lesson for you to respond though. I still remember a situation where I said something negatively about a gift I received when I was 9 (kids in a group exchanged gifts.) The person who gave it to me heard what I had said and said something to me. I immediately felt guilt and shame. It was a very valuable lesson for me. I am so sorry any of that happened. I love your tips and your perspective. So, after reading this, I mentally went through yesterday... knowing that we too were at the baseball game in the pool area with you and further knowing that my kids were allowed to venture off to the fun zone without me present while I engaged in adult conversation... my hope is that my kids would NEVER EVER EVER act that way... but at 10 & 13 I do allow them a bit of freedom to not be with me at all times provided they were safe. If during those unsupervised times, they acted a fool, I not only would EXPECT another adult to say something right then and there, but would hope that if they later saw the boys with me, they would bring their inappropriate behavior to my attention so that I could further handle the situation. I hope that my kids were not to blame, but if they were, please accept my deepest apologies. Hi Shelley - so sorry we missed chatting at the game! To be perfectly honest I do not remember seeing y'all there and so I don't know if either of the offending boys were yours. We were barely in the pool area at all. If I had made the connection, I most certainly would have let you know. :) Either way, maybe you could use this as an opportunity to discuss how they would handle a similar situation if they ever found themselves in one. 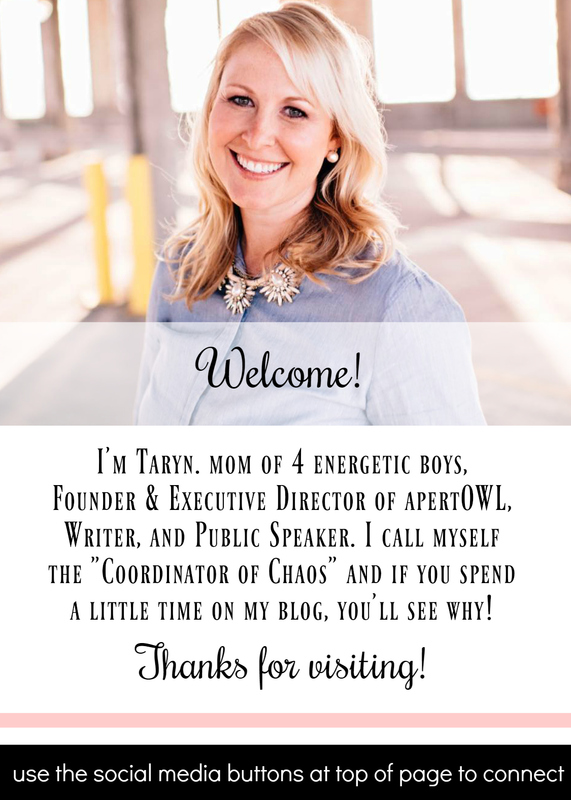 Take care and hope we can connect at a future blogging event! I just stumbled across your blog post, and I must say, Aiden is very lucky to have you as his advocate. Not only are you thinking about how the negative actions and words of others can impact Aiden, but you are also very constructive in your suggestions on how to address these negative instances. I am a mother for four children and a grandmother of 3. Though none of them have physical characteristics that differ them from other children or adults, but most of them are dealing with mental illnesses that set them apart from other children and adults. I have seen my children as they sit crying because other kids don't want to play with them for one reason or another, and my heart always broke because I couldn't make it any better. Kudos to you for being a wonderful role model for Mom's of children with disabilities AND Mom's that have no idea how to deal with their children in these situations. I am so sorry that you had to do that. I think, pray, hope that I have raised my children so they wouldn't do such a thing. But more, I hope that should they choose so poorly I am close enough to teach them and help them to make amends. For the record, Aiden is preciously cute and he is terribly sweet. He deserves nothing but the best and luckily he got that in you as a Momma. Well written. My wife and I experience this all the time as well. My son has Pfeiffer Syndrome and a trach. Fight on. You have a beautiful family. All our best. Stefan Happ & family. Ahh - so you definitely "get it". We have lots of friends with all kinds of Craniofacial differences (have you connected with Children's Craniofacial Association?) Good luck to you and thanks for commenting! I had an embarrassing incident with Spencer just this morning, and my reaction to it is something I learned from you and precious Aiden. We went into a gas station where we were checked out by a very kind and polite cashier who was covered in tattoos and piercings. As we were leaving the store Spencer loudly proclaimed that she was "scary". I said, "she is not scary she is very, very nice". We talked a little more in the car about how people can look different on the outside but feel the same on the inside, and how it is not nice to say hurtful things about people. I know this is not quite the same as what Aiden has to deal with because this cashier chose her differences.... but I wanted to share with you anyway so you know that you are teaching and making an impact on people all the time! Glad you were able to think of us in handling the situation. :) We miss you at KRK too and Aiden still talks about his Spencer all the time! How sad that the parents were not around in those cases. As some-one who worked at a daycare for several years, sometimes I forget that I'm not the teacher when I see kids misbehaving. Hubby sometimes laughs at me because no matter where we go I end up with kids hanging around me. In the same breath, I have also scolded or gotten on kids that were misbehaving, without even considering the parent might be around! Oh well, you don't take care of your kid, I probably will. Especially if another child is being hurt. Visiting from Pour Your Heart Out. The woman next to me on the bench at the play scape was a school principal and said she would have reacted the same way. It makes me think about school professionals and how I hope they will carry out the role of protecting kids from being bullied - especially with Aiden starting kinder next year. You didn't exaggerate at all! In fact you were very composed and level headed, I don't know if I would have handled it so well. And you're also setting a wonderful example for your kids, teaching them to stand up for themselves and for others. I've been thinking hard on this post since I read it the other day. I showed my seven year old your family photo and asked what he saw. "All boys in their family!" That was the first thing. The second was that your family has a baby. Last he said the not smallest one looks different from the brothers. I asked what he would do if this child was at the park and came to swing by him. Say hello of course. That's what he said. I hope that's what would happen. But what if I walked away to help the four year old on the bucket swing for a minute and he was in a rotten mood. What if he was not very friendly? What if he stared? Or asked why he looked that way with curiosity? Am I terrible mom for not being there right then to stop it and correct his behavior? Am I a terrible mom that I missed that chance to educate him so he never behaved that way in the future? Am I terrible mom that he did that? Is he a terrible child? After reading this, I fear that at least some would think I am and that he is. I hope that we can be more respectful all the time to each other. Like you wished, I wish we did not have to worry about it. I will worry more now because I cannot be right there all the time. Like you were with your baby, sometimes I am putting attention to another child and I might miss a moment, like when the boy kicked. My kids have never kicked or bitten or hit anyone and I hope they never do but they have had it happen to them. I like your list alot. We do those things. I do have a child with special needs but they are hidden on the inside. That's really hard too. people look and expect the normal and then it's not there. You do have to remind people to be kind, big ones and small ones. That's right, and it is also tiring sometimes. I hope people see your list and take it to heart. I hope kids of any kind can just go have fun at a playground. This is beautifully written. I felt like I was right there with you yelling at that little boy. It's heartbreaking and from one mama bear to another you did not overreact! :) Parents need to step up and educate their children. I'm so sorry you've had to deal with this. I have a son who others see as different. It takes a little bit as it's his behaviors, but it seems that kids have some sort of radar that shouts "this kids is different" and they call him names (weird, freak, monster). And I've been that mama bear, fighting for him. B/c the parents are nowhere in sight. I had a really bad situation happen last week where a group of girls kept going after him, calling him monster, yelling to "get him" and shoving him. He finally got fed up and hit one of them. And THAT is when the moms decided to pay attention. Not to the HOUR before that, when their girls were being total brats who needed to be told to leave a child alone. It got really ugly. Thank you for this excellent post. I shared the link on my GG FB page. Thanks for everyone's thoughtful comments. It is great to have so much feedback and to know that the conversation is being continued at home with your children. In response to the last "anonymous" comment, I appreciate your honesty. And you bring up a very good point. No, I would not judge you or your child from that one interaction -- as I said in my post, I understand (and am used to, quite frankly) the questions and comments from kids. But after experiencing 3 insensitive comments in a row with no parent around for any of them, I admit my frustration grew. Sure, I understand that we cannot always pay such close attention to our kids, especially if they are older and have a bit more freedom. What I do know is that the older the kid, the more I hope they would be receptive to talking to me about what they've said, apologize (without having to be told) and to be sincere in doing so. 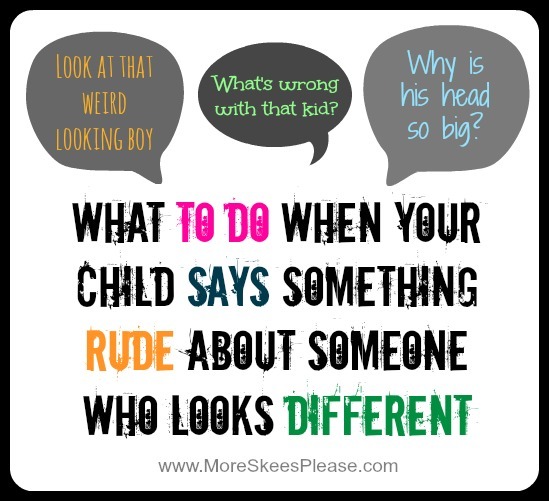 Like you, I hope that my kiddos know not to act that way or say something hurtful about another person whether I am around or not -- and like you, I certainly hope they could have the maturity to right the wrong if they catch themselves doing so. That makes me so sad. So sad that the child would say something like that and move away from him. Heartbreaking. You know, you hope, as a mother you can instill the values in your child that you have, but you just never know how kids will act when you are not around. I am sure that child's parents would be horrified at his behavior. Also disturbing about the child that purposefully kicked Aiden at the park. What on earth. There are lots of parents that have no business guiding our youth. They have poor manners, don't deal well in social situations themselves and probably don't care what their kids do. At least you are one of the good ones. Taryn: This is why there's the saying: It Takes A Village. There is absolutely nothing wrong with another parent pointing out your child's mistakes, especially if it helps them learn in that moment. I wish more moms and dads would do that so you (and I) wouldn't feel "out of line" or like the "mean lady." Being a parent empowers you to help all children, not just your own, right? I was at a Bar Mitzvah this weekend and the two kids in front of me, whose parents flanked them, were talking and horsing around during the service. My husband leaned forward and asked them--no, told them--to be quiet and stop playing around. Their parents never even seemed to notice them or had simply tuned them out--and they were right there! I was at the movies with the hubby on a Saturday night (so not seeing anything animated!) and there was an older teen girl texting during the film. You better believe I leaned over and told her to put her phone away. So in these situations (or on the playground or in the market), you are more than justified to speak up, and I think you can tell from all the comments, your actions are actually appreciated. Thank you for being such an awesome person.